Over the past decade, the integration of psychology and fine art has sparked growing academic interest among researchers of these disciplines. The author, both a psychologist and artist, offers up a unique merger and perspective of these fields. Through the production of fine art, which is directly informed by neuroscientific and optical processes, this volume aims to fill a gap in the literature and understanding of the creation and perception of the grid image created as a work of art. The grid image is employed (for reasons discussed in the text) to illustrate more general processes associated with the integration of vision, visual distortion, and painting. 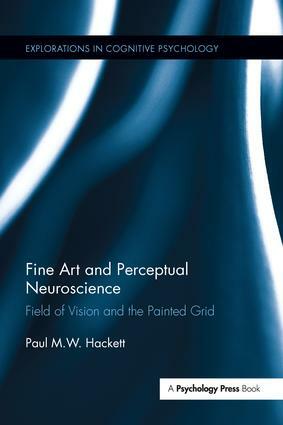 Existing at the intersection of perceptual neuroscience, psychology, fine art and art history, this volume concerns the act of painting and the process of looking. More specifically, the book examines vision and the effects of visual impairment and how these can be interpreted through painting within a theoretical framework of visual neuroscience.